When I first started blogging I had no intention of having sponsors of any type. I even turned down a sponsored giveaway just last week. When Brenda from Pink Castle Fabrics approached me about being a sponsor on my blog, I felt differently. I've been getting to know Brenda a bit since she is in my group for the 4x5 quilt bee. Also, I have ordered from Brenda's shop, and she was great to work with. She has a good selection of fabrics that I love and reasonable prices. As I mentioned last week, I ordered the whole Heirloom line from her. She has several other fabrics that I might need in the future. I'm loving the blenders in the new Lizzy House line, 1001 Peeps. I've also been very interested in making something with the Moda Crossweaves. Pink Castle Fabrics has this 1/2 yd bundle in stock that would be fun. As a new sponsor to my blog, Pink Castle Fabrics has a little giveaway for you!! Remember how much I love Heirloom? One of you will receive a fat quarter pack of the Sapphire colorway! Follow my blog in some way (RSS, GFC, etc.) 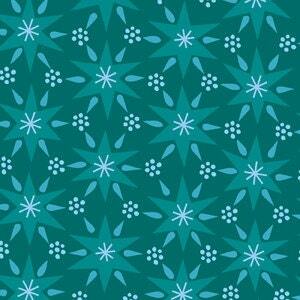 and leave one comment telling us what you might make from this fabulous fabric. Head on over to Pink Castle Fabric and look around. Come back and leave one comment telling what fabric you would love to have. The winner will be picked randomly next Monday, August 8. In the meantime you can also check out the Pink Castle Fabric Facebook page to keep updated on all the new fabric she has in stock. These fabrics are really fabulous and I'd like to make a gorgeous little quilt and use it when i'm on my sofa.Thanks for the opportunity. Love Brenda's shop! I've been drooling over this fabric. It would definitely make its way into a quilt! I love her selection of Metro Living Circles! Funny, I had just recently gotten something from her shop. I subscribe to your blog in Google Reader. Not a fabric, but I think I need the AMH Pearl cottons! I'm a follower. I think this fabric needs to be made into some new pillows for my couch. I'm a follower... I've been wanting this fabric since I first saw it! If I had the chance, I would probably just order the full heirloom line! I am following you. I have been wanting this fabric for my Garden Gate project. Lovely! I'd like to make a Cosmo bag with the fabric. And I follow. I am a follower. I would make a Garden Path quilt with those fabrics. Just beaufitul--and very modern! Thanks for hosting a sponsored giveaway! I'd love to have the seed catalog fabric from Pink Castle. I LOVE the Heirloom line. I would take it in any colorway! And I think the Anthology Folk Life bundle is something I'd love to have. I would def make a quilt from this collection, it's just so yummy! I am a follower, I would use this beautiful fabric for a quilt! i agree, brenda is great! 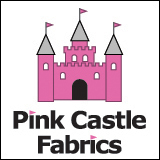 i've ordered a ton of stuff from pink castle fabrics too! i would definitely be making a quilt with heirloom, might make it a baby quilt for someone i know who is expecting! i love the heirloom line, but i wasn't able to buy any myself (there are too many beautiful prints), so maybe i'll get lucky this time! thanks for the giveaway! oooh! This giveaway is perfect for me! I've been really struggling not to order this line! All the pretty pictures of it on Flickr aren't helping! I'd love to make a quilt with these--though zippy pouches would be cute too! I really like the Lakehouse seed print (black on white). I really liked a bundle called Folk Life.. any of those fabrics are just delightful!! I am now a follower of your blog. If I were to win your giveaway, I would use the fabric in my ongoing Dear Jane quilt blocks. Thanks for the opportunity. I love the Paisleys in Amber fabric. Thanks for the opportunity to win your giveaway. LOVE the heirloom fabrics! I'd probably use them to make Swoon blocks - I bought the pattern for this awhile ago but haven't started it yet. I follow you on Google Reader, and enjoy your blog very much. I covet your blue chair, lol. I visited the shop and I liked many fabrics of course. The darker version of the polka dot mushrooms appealed to me, along with. If I were to win the Heirloom pack, I'd make a quilt with it, not sure what pattern, and then I'd add the rest for scrappy quilts. I just checked out pink castle on etsy - love those metro circles! I would love to make a quilt for my daughter's bed out of this line!! I have been drooling over it ever since I saw it come out. Congrats on your first sponsor!!! So exciting!! I love the Bonjour 8 Pack Fat Quarter Set Bundle Green Brown Blue Anthology Fabrics. Those colors together are fabulous!! The Circa 1934 Cosmo Cricket Layer Cake looks rather yummy! i would love some moda crossweaves! I would love to have a bundle of the metro circles in every color it comes in...so pretty! I love these fabrics! Joel Dewberry fabrics are my favorite! I would love to make a quilt with these! I'm a follower and love your blog and tutorials. 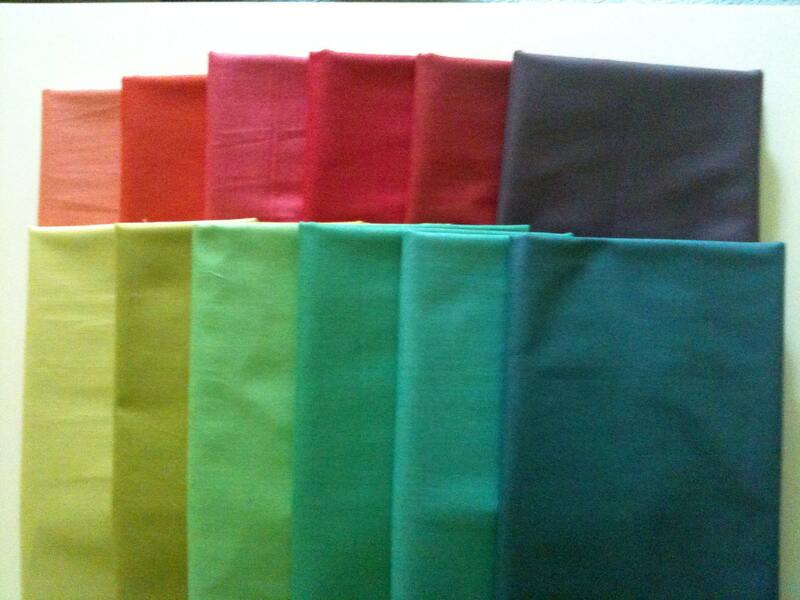 Pink Castle Fabrics has a great selection and Bonjour 8 Pack is full of lime green fabrics - always my favorite color! I am a follower, and I am with you, I really enjoy shopping at Pink Castle fabrics. If I were to win this fabric it would become a quilt for my ex MIL she is a wonderful lady. Thanks for taking the time to host the giveaway. What a great color way! It calls for a quilt! I follow you on my reader! Thank for the chance to win! I love all things circly and dotty, so the Metro Living circles would be lovely to win ! I love that they sell Metro Living! Such a great line! I'm loving that Hideaway charm pack! Little apples please! What would I do with it??? Pet it like a cat and someday open it up for a project. And I love looking through Brenda's shop,especially at the Lizzy House fabrics. She was my secret partner in the goodie bag swap and made me a sweet Ruby Star Rising bag, which is sitting on my desk right now! I like the joel dewberry in the colorway pictured, AND the modal crossweaves. (In fact, if I don't win I might have to purchase the crossweave! ) I think id make a quilt using the swoon pattern. And I follow you on Google reader. I do follow your blog and to be true, I do also love the Heirloom fabrics! So, please, pick me! I am following via GFC for sometimes..
i follow you on google reader, and i'm loving that heirloom. My daughter just got a single bed (upgrading from a toddler bed), so i'd make her a quilt for her new bed. and i'm totally envious of whoever is getting that custom order of heather ross from pink chalk! i especially love those little girls playing with horses and the yellow flower fabric. Congrats on the new sponsor. I love Brenda. :) That Heirloom is so pretty. I think I would make a bag or some zips. Thanks for the chance to win Kati! And I would choose some pearl bracelets or more Hope Valley from Pink Castle! ... and I really, really need the metro living circles in every available colorway. I always need a good basic! I am a follower and would love to make a baby quilt for a good friend with these adorable fabrics! I love the pearl bracelet in green! Oh green, how I love you! I would love to get some of those Moda Cross Weaves from Pink Castle fabrics. I follow you! I have never made an apron before and I need one. I think this fabric line (which is awesome...especially this color way) would be perfect for it. Lovely fabrics. I would likely add them to a quilt. Thanks so much for the giveaway! I am really liking "Etchings" from Moda. Thanks for drawing my attention to Pink Castle. What a wonderful selection! I'm a follower! I think I would make a baby quilt out of this one. I think it would be an unexpected color combo for a girly quilt. I would love to have some of the cross-weaves. I love the idea of a solid with some texture to it! Aww, I love Brenda! I order from her all the time :) I'm loving the Heirloom line. So much prettier in person than you can really tell from an internet thumbnail. If I won this beautiful bundle, I'd probably do something with HSTs... had those on my mind a lot lately. Something I'd love to have from the PCF shop - Blockprint Blossom in Amber. I want to make EVERYTHING from it!! Thanks for the giveaway!! wow - that Ruby jelly roll might be calling my name! I am a follower and I love Heirloom! I might have to add some to my every growing stash... If I were to be lucky enough to win I'd make a quilt. Thanks for the chance! I looked around Pink Castle's shop and I would love some of the 1/2 yard cuts of the Metro Living circles. They are getting harder and harder to find and I think the are a perfect basic to have on hand! I would love to have a 1/2 yard of every single metro living piece. I am a follower of your blog! I just love this fabric -- and I would use it in a quilt! I love Pink Chalk Fabrics' half yard bundle of Heirloom in Ruby! I would make a quilt for couch time if I won...cooler weather is coming. I already followe you.Thanks for the chance at your wonderful giveaway. I am a faithful follower and I LOVE Joel Dewberry - anything he does! Thanks for the chance to win. I'm a new follower and I think I would make a fun and sophisticated little girls quilt for my daughter! I really like pearl bracelet in purple. I'm thinking about doing a purple/gray modern mosaic quilt on my bee month! I love the Hope Valley bundle she has. Can't help but love that. I love the Hope Valley bundle. I am intrigued by the Moda Cross Weave fabric. The thought of some texture in the solid sounds interesting to me. Thanks for the chance at your giveaway. I follow your blog! I'd add these to the purples that I have stashed for my MIL's quilt (which I'm hoping to have done by christmas!). She'd love the colors! I can see making lots of adorable skirts for my two and three year old girls! LOVE the Heirloom line. 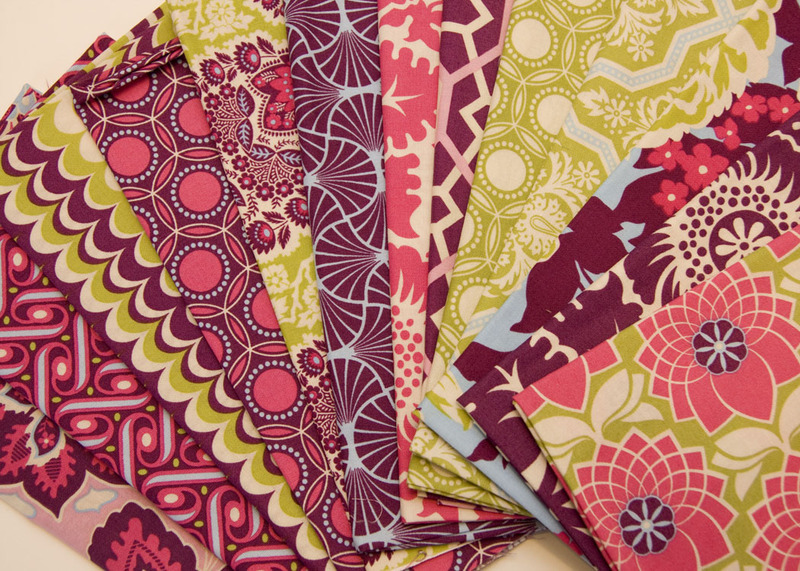 i follow your blog through google reader & i would love to try a quilt w/ these fabrics. Anything by Joel Dewberry is a favorite, but I also really like Michael Miller's polka dots. Brnda is faulous, and so is he shop! It's so great of both of you to share this giveaway. Heirloom is definitely a drool-worthy line. I'm expecting some from Brenda's shop any day now, but I'd love to win this bundle. I follow you via google reader. Thanks, Kati! As to what I would make if I was a lucky winner -- a quilt. Looking at the Heirloom Fabric makes we want to dive into a Broken Star or Lone Star Quilt from all the pretty fabrics. This fabric would make a great picnic quilt! Isn't it funny how we make tons of quilts but none are for ourselves? Time to change that! I would definitely make myself a happy quilt for snuggling on the couch! I just love all the purple fabrics in 1001 Peeps! i would love the Moda Crossweave bundle! I love the Heirloom in Citrine! ALthough the Sapphire is great too. I follow your blog and would make a quilt. Thanks for the giveaway! I would love to have 1/2 Yard Bundle Bella Solids by Moda 9 Colors Rainbow Aubergine Robins Egg Gray. Thanks for the giveaway! I love the Seed Catalog fabric - a bit unusual and I'd love to use it for bag and purse linings! I love Heirloom in the Ruby colorway. I just love all the Heirloom colors. I'm so glad I am a follower of your blog to have the opportunity to win this fabulous giveaway. Oh Heirloom is just taunting me left and right (and oh how I love the torture!!) What would I make... I am thinking a lap quilt for snuggling by the fire later this fall/winter. Those colors could cheer up a polar bear in an ice cave! I am really liking the Folk Life Fat Quarter set too!! Thanks! I already follow your blog and I would go nuts with this fabric!!! My little sister is having a baby girl, so I know I could knock together a quilt for her as well as some sewing room essentials for myself!! I actually would LOVE to get the Heirloom collection in the Citrine (sp? )it fits with the colors in my sewing room and I would love to re-do my chair, sewing machine cover, pin cushions,etc. The fabric that I "have to" have would be the Etchings layer cake! I'm a follower! I've been thinking of making some new pillows for the sofa. This would be beautiful! I would really like to have any of the pearl bracelet colors. I love Lizzy House! I follow on google reader. I think that these fabrics would make a beautiful table runner and some fun pillows. I really love the Heirloom collection, though I am not sure which color way is my favorite -- they are beautiful! I'm a follower via Google Reader - this would be a fun addition to a quilt! Brenda's got so many lovely fabrics to offer and I spied some great precuts, but I think I'd really love to get hold of all the purple 1001 Peeps! I hopped over - I have been coveting Laundry Clothesline in Green by Heather Ross - would love to have some! The E Red Essentials Tweet Tweet Black and White Color Me Fabrics is just too cute! Joel Dewberry's Heirloom is my favorite collection from the shop. Since that is the prize, would choose the Etchings layer cake. There is something about the greys that soothes me. Of course, I like Ruby too. Pink Castle Fabrics has lots of nice fabrics. I already follow your blog and would love love to make a quilt with this fabric! Joel Dewberry is one of my favorite designers (right now the most favorite). I'm a follower! I'd love to make some skirts and dresses for my little girl with these pretty fabrics! Oh, so many to choose from...but I'm really eyeing the Heirloom prints in the citrine colorway for some pillows for our bed. i follow via GFC, and i am thinking a few nice patchwork pillows to try out some quilt blocks from all the tutorials floating about, esp. the summer sampler! My sister is getting married soon! I would love to make a quilt for her using this fabric. I like the High Society FQ bundle! Beautiful fabrics !! I would love to make a quilt for a friend as she would love these fabrics!! I love the Moda crossweaves too - they have a lovely depth of colour! Hi Kati! I've been a follower for a while now, and I also receive your RSS feed. Thanks for the chance to win this giveaway. Fabric is my favorite thing to try to win. Oh my. What don't I like!? I like that Tweet, Tweet Color Me fabric. I've never seen it before. And I really like the purple colorway of the Lizzy House 1001 Peeps. Nice stuff on the Pink Castle Fabric site. Thanks again for hosting this! Oooooh I LOVE HEIRLOOM so much! :D I'm a follower. Like so many, I really want to make a quilt with this line. I have a niece who adores the colors and it'd be fun to make her something! I\m a follower in Reader. Thanks for the giveaway. Pillows! Oh i would make pillows! 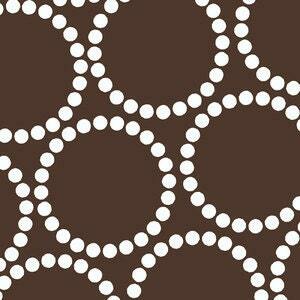 I love the Dottie Mushroom fabrics from Pink Castle Fabrics! Oh how wonderful, I follow you on my RSS. I would make a quilt and matching cushion to go on my lounge. It's so lovely!!! I'm a follower and those fabrics are beautiful! I'd love to make a Bricks throw with them. Thanks! I would make a baby quilt, I know so many pregnant people right now. I absolutely love Lizzy House 1001 Peeps Royal City in Purple for Andover Fabrics. This would go great in my daughters room when I get to decorating it. I'm a follower. I think these fabrics would make beautiful patchwork pillows! I am a follower of your blog. I would make a quilt for sure! I would love to make a quilt with this fabric! Anna Marie Horner's Perle Cotton is calling my name! I'm a follower on Google reader and I'd love to use this fabric to make some bags from one or two of the free bag tutorials that are around in Blogland. I love the BettyBobSquarePantsBlock (from LilisQuilts, it would be BettyBSPB if I made it), but I don't have a clue how much fabric I'd need for that. So my choice for this fabric would be '12+2+Q" by Oh, Franson. I had a look at yours too, an I love the way all the fabrics of the fat quarters get the leading role. Lovely fabric over at Pink Castle. 12 half yard bundle of Moda Cross Weave. I would use that for the Farmer's Wife Sampler. Pretty pretty fabric! I follow your blog and I'd use the fabric probably to make a quilt. Following! I want throw pillows out of this. I love the Blockprint Blossoms! I love the Wing Study fabric because it is so different. fabric i would like to have....Cowgirls Playing with Horses. Both my girls love horses and my oldest wants to be a cowgirl. I don't have any idea what I would make but it's gorgeous fabric! I am a follower. There are so many things at Pink Chalk Fabrics that I would want, but one thing that jumped out at me (which I've never seen before) was the Space Invaders fabric! So cute! I am a follower - and I have several quilty ideas that this fabric would suit. The colors would make a beautiful throw size for our comfy chair! I'm probably the last person on the planet who has yet to buy anything from Hope Valley - I like the colorway of the bundle on Pink Elephant. Came here thru flickr where I admired your Stargate quilt. Wow, love it - so I am a follower now. Thanks so much for the giveaway! I would pick Heirloom from Pink Castle Fabrics store - it is my favorite right now. And I would use it for a quilt like your Stargate quilt. It is just beautiful! Thanks again! I "need" those Moda crossweaves... need them so badly. Love Pink Castle fabrics on Etsy and your blog is such an amazing inspiration. Thanks so much to both of you for the giveaway!